Motorcycle, Tractor Parts Welcome, Auto Related, Parts, Accessories, Tools, Literature, Toys, Service Station Memorabilia. "Vendor setup will be on Friday, November 11, from 12 noon to 8 PM. Admission for the event is $5.00 and children 12 and under is FREE. There will be free parking and concessions will be available during the event. 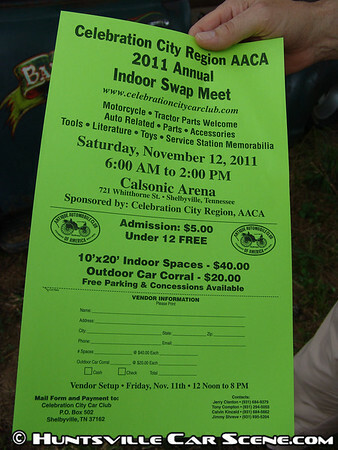 10'x20' indoor spaces are $40.00 and the outdoor car corral is $20.00." Sounds like a great way to chase away cabin fever.